Local 328 along with the four other New England locals have completed another round of negotiations. After meeting several times with your employer, primarily around Health and Welfare and the issues of funding and plan design, we have made little progress this week. Both sides have agreed to resume meeting beginning next Thursday in hopes of getting closer to a final agreement. Both sides have made the same declaration that they want an agreement. I have seen and heard comments over the last couple of weeks from members asking why we have not struck the company? Just so you know that it is my philosophy that as long as both sides are talking and willing to meet, you, Local 328 members, continue to work, bring home a pay check, and have health insurance for you and your family. As long as both sides remain at the table, your working conditions remain the same. So I would ask you for your continued patience and cooperation, and go to work and continue to do the exceptional work that you all do for your store and your community. I will not rush to sign a bad deal. Local 328 had reserved a facility for Sunday March 13, at the Twin River Casino. I have cancelled the reservation due to the fact that I do not have any agreement to bring to the membership at this time. When we have secured an agreement that I can bring back for your approval, I will send out an announcement to all the stores. Again, I ask for your continued support and cooperation during what I know are trying times for everyone. We all need to remain strong and committed and continue to let the company know that you support the leadership of your local and are committed to standing with them as long as it takes until we get a good contract. 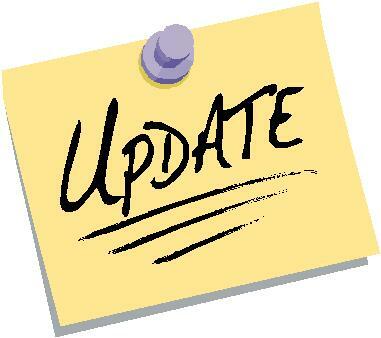 I remind everyone to continue to check the Local’s website as well as our social media sites for updates. Join Us On March 16th!